Augmented reality is surely the new frontier in modern technology. Everyone from marketers and entrepreneurs to students and average individuals stand to benefit from new discoveries in the AR world. If you are interested in understanding the potential benefits that augmented reality offers, read on. Although technology and studies for augmented reality are just starting to take off, the future that this industry holds is really a generational game changer. One of the earlier forays into augmented reality started with the popularity of QR codes. With QR codes, every day people used their phones to scan codes that would generate digital content in real time. As public interest has increased in the world of augmented reality, Google has been hard at work trying to evolve the industry. Google Glass was Google’s not so successful attempt to bring augmented reality to the public. The lack in its popularity was in part related to a lack of proper technology as well as public interest. However, in the past year alone, augmented reality has taken a giant step forward. The next wave in augmented reality can be seen in the viral popularity of Pokémon Go. This app allows users to connect with their environment through the interactive Pokémon world on their phone. The popularity of Pokémon Go drove hundreds of users to specific locations and businesses as part of the game. In turn, customers often spent time and money at these businesses, thus generating revenue that would otherwise go untapped. This new reality opened the doors of possibility for businesses everywhere. Although the development of augmented reality is still very much in progress, the potential that this kind of technology offers businesses is immeasurable. Several companies already use apps to connect to their customers. With the technology of augmented reality, businesses can use their apps to raise brand awareness in new and exciting ways. Additionally, businesses can benefit from augmented reality through basic advertising. 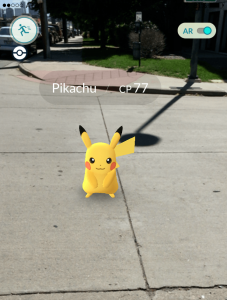 Following the success of businesses featured in Pokémon Go, businesses have been looking for ways to use augmented reality to gain new customers and a new stream of revenue. The basic purpose of augmented reality has always been to bring users into the physical world through the use of digital technology. 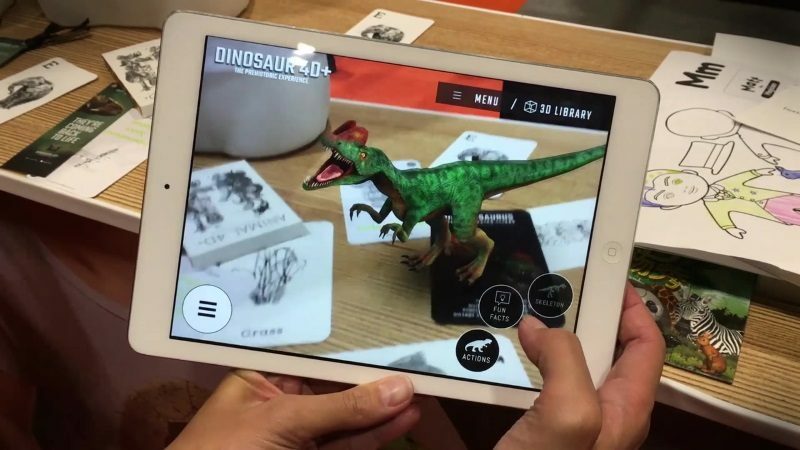 Using technology encourages users to get excited about physical realities that they might not relate to at all without the use of augmented reality. Using technology to aid in-store experiences is another benefit of augmented reality. Businesses can encourage customers to interact with specific in-store products by offering discounts and coupons through an augmented reality app. In the app, interested shoppers would have to come in to the store to use the app to engage with the discounted product. Additionally, these apps can provide users with in-store online shopping, store maps, freebies, and product trials. 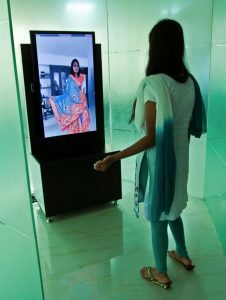 Use augmented reality to promote in-store online shopping as a way to combat the popularity of Internet shopping. With your app, you can allow buyers to search for items that aren’t in store and purchase these virtual products as well as in-store purchases at the same time. Businesses that offer virtual store maps provided through their app have the power to streamline the user’s shopping experience and create a positive technology-real world connection for customers. Offering freebies by way of augmented reality can serve to drive in more traffic and an increase in sales. Product trials promoted in your app can allow customers to virtually “text out” their next intended purchase before they even see it in person. So, as our society approaches a breakthrough in technology and innovation with the likes of augmented reality, don’t be afraid to try some of these ideas in your own work. 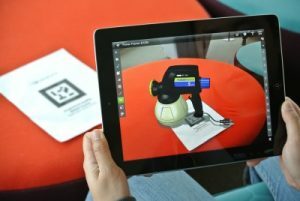 Progresses in augmented reality may create a new reality for your business.